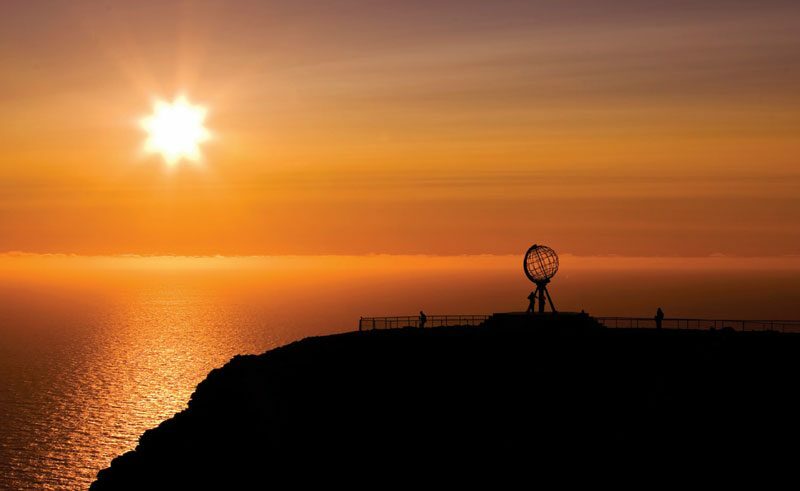 What is travelling to see the midnight sun like? The Discover the World team share the secrets of what all-night daylight is like, why it’s a great time to travel, and what practical tips you need to know before you go. Travelling in Iceland under the midnight sun is, in my opinion, one of the best times to explore the country. Often the weather is calmer and the lower sun can provide excellent photography opportunities. 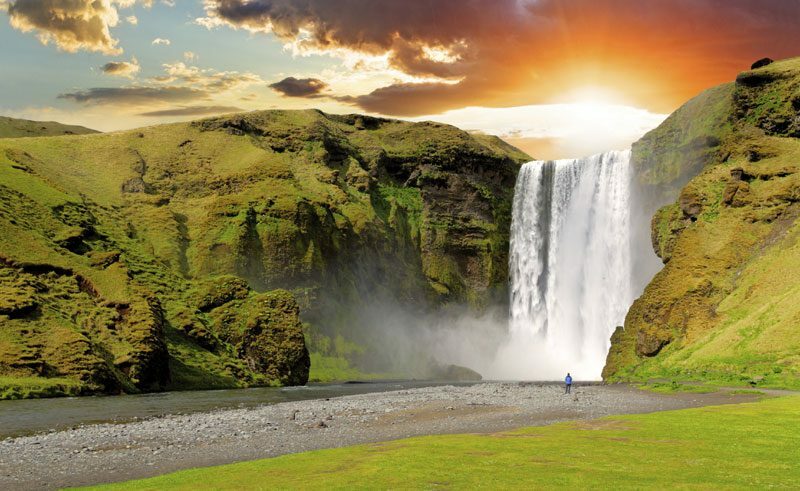 Summer is a peak tourist period and, as many people travel to Iceland to get away from the hustle and bustle, it can make a lot of sense to visit the major sites in the late evening or early morning. Often it’s a very tranquil and peaceful experience where you feel like the only person in Iceland! 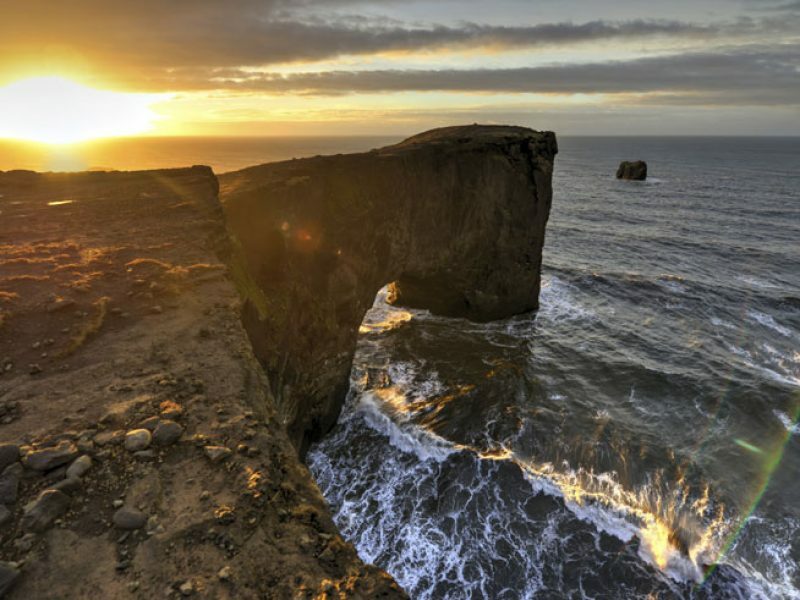 The midnight sun is a great opportunity to experience Iceland at its best, under the conditions which make it a world class wilderness destination. When people mentioned walking through Tromsø at midnight, I expected darkness and snow, but go in June, and you will be treated to beautiful sunshine and a lively city. With people out at the various bars and restaurants, it feels like early evening, when it is in fact just creeping into the next day. As it is still daylight, you don’t get the rowdy behaviour that the night can bring, just everybody laughing, joking and having a good time. I think the most surreal moment I had was having my ‘evening’ meal at 11:30p.m., sat outside by the harbour! It really doesn’t get dark! 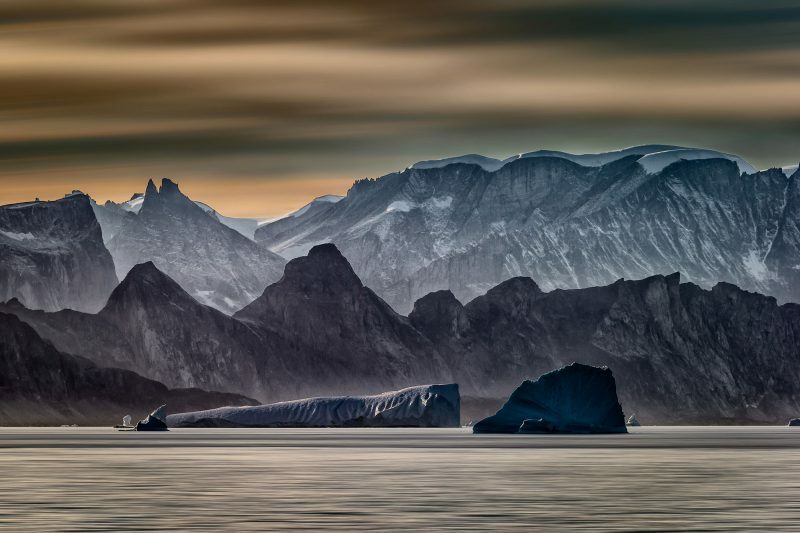 I went to Ammassalik, East Greenland in mid-May and had never experienced the midnight sun before. I thought that surely it must get a little dark? I couldn’t quite believe when, after an incredible day exploring then sitting down for a lovely dinner that lasted three hours, the time was 11:30pm and it was bright daylight. I can see how why the Scandinavians, Icelanders and Greenlanders have so much energy – you just don’t get tired! Ever!! I ended up going to bed about 1am and when I awoke in the ‘night’ I had to peak out of my blackout blinds to really believe all the ‘it’s light all night’ talk. It’s not a myth, no one is telling porkies – it honestly doesn’t get dark. Whilst camping in Asbyrgi National Park in north-east Iceland, my partner and I decided to go for a walk after dinner up Eyjan (“The Island”), the high cliff formation that juts out into Asbyrgi canyon like a ship’s prow, dividing it almost in two. We sat at the tip of Eyjan late into the evening – the midnight sun cast a golden, almost syrupy light over the landscape, low on the horizon but bright, making for fantastic colours and long shadows in the wide expanse of the national park below us. An amazing sight. Travelling to Antarctica in December meant we could take advantage of long summer days, spending our evenings soaking up the scenery and watching for wildlife. One night after dinner it was decided we could do a late shore landing on Paulet Island. 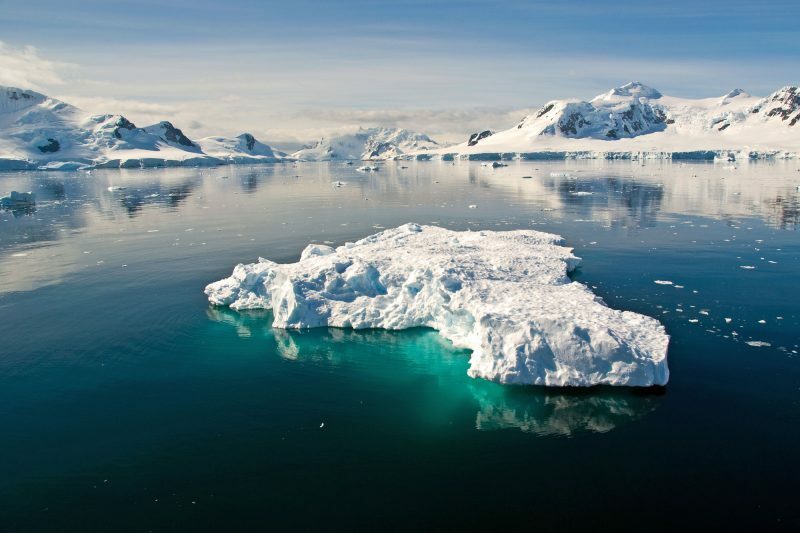 This island had something for everyone – geologists were impressed with its volcanic origins, historians were fascinated by the remains of a stone hut from Nordenskjold’s 1901-1904 expedition, and wildlife enthusiasts were thrilled to find a huge colony of Adélie penguins (who apparently like to stay up late to party under the midnight sun). This would have been an amazing experience at any time of the day, but squeezing in this extra landing after dinner and then sailing back to the ship under a glowing pink sky just made it all the more special. When you go to visit the midnight sun, you will need to realise that sleep will be affected. When you go to bed at 1a.m. and the sun is still up in the sky, it can throw your body clock. However, the sun being up for 24 hours combats the lack of sleep, and you can actually feel perfectly refreshed from 4 hours sleep.Many hotels have ‘black-out’ curtains, so if you really struggle sleeping in light, then there are hotels that will give you the nights sleep you are looking for – otherwise remember to pack an eyemask just in case. Restaurants and bars will be open later than usual, with the locals not eating until 10:30pm at the earliest. As Norway in particular is notoriously expensive, if you would like an evening out, do not head out until 10pm. This will give you a chance to experience the midnight sun, while enjoying a stunning dinner (the food in Norway is second to none). It might be midnight, but the sun can still burn. Don’t forget your suncream! 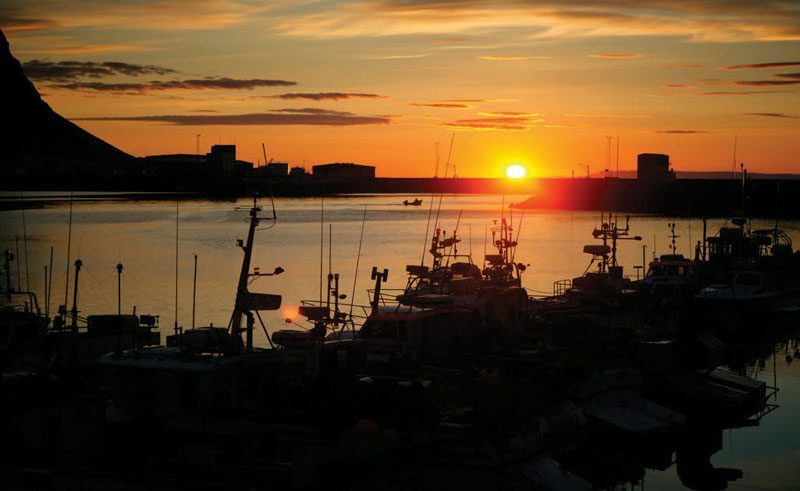 Ready to explore the midnight sun? Take a look at our collection of midnight-sun inspired holidays here. For help in planning your summer escape, send us an online enquiry or speak to one of our Travel Specialists today.